G.J. Koch writes science fiction. Not the hard stuff, though. Because that requires actual scientific knowledge or at least actual scientific research. Knowledge may be power and research may be cool, but they take time away from writing jokes, action, and romance, and being witty in the face of death is what it’s really all about. 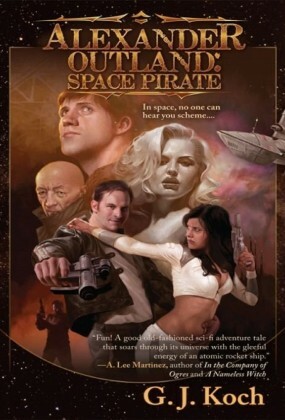 Check out G.J.’s rollicking Alexander Outland: Space Pirate series from Night Shade Books and reach G.J. at Space… the Funny Frontier.